No other equipment in your home is as important to the health and well-being of your family - so your heating system deserves the finest care available. As your Heating Specialist, we are always willing to put our professional experience to work for you to provide for all of your heating needs 24 hours a day, 365 days a year. If you have already had reason to call us for burner service, we hope that you were pleased with our performance, because that is our goal. If you have not yet called upon our service department, we look forward to your prompt satisfaction when the time comes! 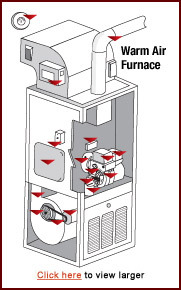 If you are unsure of how efficient or dependable your heating system is, call us. We have a staff of highly trained technicians who stay up-to-date on the latest in installation and service through seminars and training schools. We will be glad to inspect your entire heating system and give you the professional advice you need. 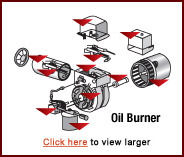 MacLellan Oil will provide the labor free of charge for all mechanical parts listed. Your payment insures that every part listed will be replaced or repaired, when defective, at no cost to you. The policy covers all labor charges for work performed on the parts previously listed during our regular business hours. This policy also covers labor charges 24 hours a day, 7 days a week on the parts previously listed for emergency service. This includes nights, Saturdays, Sundays, and holidays. Oil-fired water heaters, indirect-fired water heaters, additional oil tanks and additional zones are covered for an additional charge. 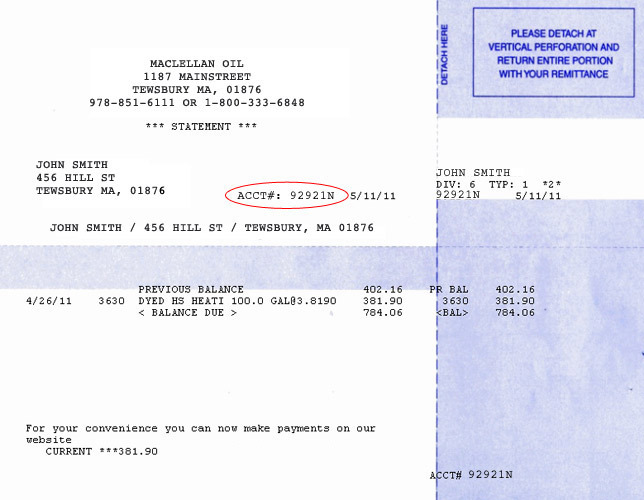 Rates are invoiced annually. It is important to keep your oil burner in its best condition. This can save you many dollars. We will thoroughly inspect, vacuum clean, lubricate, tune and adjust your burner and boiler once a year during the life of this policy, at no cost to you! MacLellan Oil will provide the labor free of charge for the repair or replacement, when defective, for all mechanical parts listed. Commercial equipment includes any non-residential heating equipment having a firing rate of over three (3) gallons per hour. 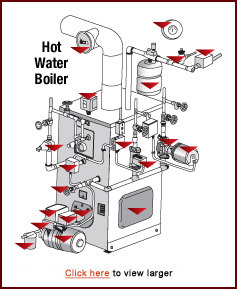 Labor coverage is limited to equipment located within boiler room. All parts shall be billed for any policy covering Commercial Equipment. Annual maintenance will be performed at prevailing rates. All other policy conditions and exceptions apply. 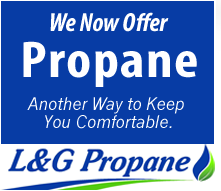 Thank You For Allowing Us To Serve Your Heating Needs! This policy is subject to acceptance by our service department. This company reserves the right to decline acceptance of this policy if, after inspection, the equipment is found to be unsuitable for servicing, or any portion of the heating system is not in proper working order. Inspection may take place up to and including the time of the first call for service. The service technician shall not be held responsible in answering any questions regarding the coverages provided herein. Should you have any questions regarding the coverage provided by this agreement please contact our office during normal business hours of 9:00 a.m. to 5:00 p.m., when your questions will be answered promptly. Additionally, labor is not covered for services performed on the following, including, but not limited to: domestic hot water equipment, automatic water feeders, zone valve bodies, improper water level, draining, filling, or bleeding of the system, underground, vaulted or over 275 gallon oil tanks, cutting and removal of oil tanks, sludge removal, transfer or booster pumps, draft inducers, electrical wiring, radiators, piping of any kind, vents, duct work, damage caused by ceiling fans, hazardous waste removal, bearing assembly replacement, and services resulting from any overdue balances owed to the company. Customer will be charged prevailing rates for all such services rendered. Parts are not covered by this contract unless specifically listed in this plan. Examples of parts not covered, including but not limited to are: domestic hot water equipment, relief valves, air conditioning equipment, electrical wiring, bearing assemblies, inaccessible equipment, obsolete parts, petrometers, secondary pumps, chimney bases, automatic water feeders, zone valve bodies, underground vaulted or over 275 gallon oil tanks, radiator valves and piping of any kind. This policy is available to our automatic delivery customers only and will be terminated without notice if the customer fails to purchase all fuel oil on an automatic delivery system. Obtaining fuel oil from another source, failure to maintain a credit rating consistent with this company's credit terms, or allowing someone other than an authorized representative of this company to service this equipment will declare this policy void. Should this policy be terminated for any reason no refund shall be made. This policy will be renewed annually on the anniversary date unless, either party hereto shall at least 30 days prior to the anniversary date hereof, notify the other in writing of his or her desire to terminate this agreement as herein provided. The company's coverage of this policy shall be no longer than the term of this agreement or any renewal date. 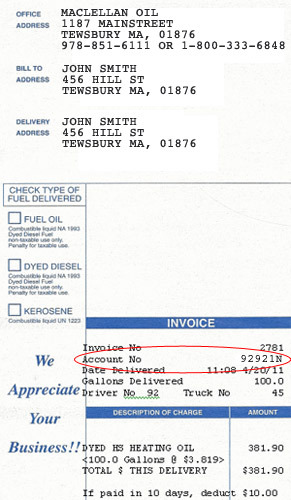 This policy covers normal usage of your oil heating equipment. Buyer and owner agree to hold this company free and harmless from all claims resulting in loss or damage to real estate or personal property, caused by oil leakage, fire, smoke, flood, freezing, power surges, power failures, premises left unattended, or any other cause whatsoever.